It’s a clean-sheet touchscreen design. 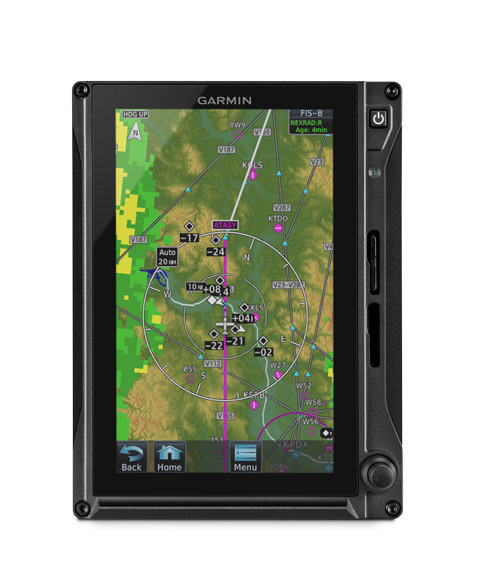 One that builds on the proven capabilities of Garmin's original G500 glass flight display series to offer you a vastly expanded array of features, options and panel layout possibilities. Backed by Garmin's No. 1-ranked product support team, the next-generation G500 TXi lineup makes it easy to configure a reliable glass cockpit system that can grow with your needs without overstretching your budget. Designed specifically for FAR Part 23 Class 1/Class 2 aircraft (singles and twins weighing less than 6,000 lbs), G500 TXi glass touchscreens integrate with the GTN touchscreen GPS/Nav/Comm series to provide a fully certified glass suite solution. Reliable attitude/heading reference system(s) (AHRS) replaces the old-style, maintenance-prone mechanical gyros in your system. Available in 7” portrait or landscape orientations — and in a larger 10.6” horizontal format — the G500 TXi displays offer a variety of configurations to fit your panel and budget. The 10.6” displays accommodate PFD information and a multifunction display (MFD) within the same unit. Optional engine, fuel and electrical readouts (EIS) can also be viewed in a vertical strip alongside the PFD/MFD information on the 10.6” display. The 7” portrait format can act as a dedicated PFD (with HSI map), MFD or EIS — or as a split-screen MFD/EIS display2. And the 7” landscape format can be configured to provide dedicated, PFD information, EIS or split-screen MFD/EIS2. G500 TXi seamlessly integrates with a variety of optional sensors and datalinks to support the latest weather and traffic monitoring capabilities. Our Doppler-capable GWX™ 75 onboard color radar features a reliable, solid-state design as well as optional turbulence detection and ground clutter suppression capabilities. 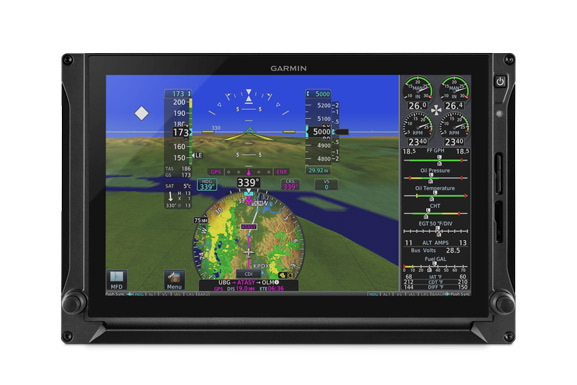 Garmin GTX™ 345 series all-in-one ADS-B transponders provide easy access to subscription-free ADS-B weather and advanced dual-link traffic services. For a worldwide datalink solution, our GSR 56 datalink provides weather data and radar imagery through the Iridium® global satellite network. And for even more advanced traffic surveillance in high-density airspace, G500 TXi integrates with select TAS or TCAS systems, including our GTS™ family of traffic surveillance products. Additionally, TXi also supports multiple video input options that enable the MFD to serve as a live-cam video monitor. With installation approval available for hundreds of aircraft models, retrofitting your cockpit with G500 TXi is a straightforward, all-bases-covered proposition. You can select from a wide range of display formats. And no matter which configuration you choose, you’ll be flying with the peace of mind that comes with an industry-leading 2-year warranty (and optional FlightLevel Extended Warranty), backed by our award-winning product support team. Have your new panel installed professionally! Please fill out the Avionics Installation form and one of our experienced avionics consultants will provide a custom quote for your aircraft.